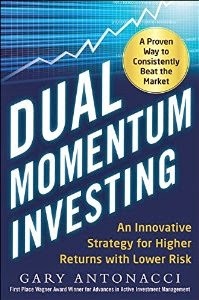 Years ago, when asked to recommend some good investment books, I often suggested ones dealing with the psychological issues influencing investor behavior. These focused on investor fear and greed, showing “what fools these mortals be.” Here are examples: Devil Take the Hindmost: A History of Financial Speculation by Edward Chancellor, and Extraordinary Popular Delusions and the Madness of Crowds by Charles MacKay. In recent years, there has been a wealth of similar material in the form of behavioral finance and behavioral economics. I now suggest that investors do an internet search on these topics. To better understand investing and investors, you should be familiar with concepts like herd mentality, recency bias, confirmation bias, overconfidence, overreaction, loss aversion, and the disposition effect. An enjoyable introduction to this field is Richard Thaler’s Misbehaving: The Making of Behavioral Economics. Here is an extensive bibliography for those who want to do a more in-depth study. Now that quantitative investment approaches (factors, indexing, rules-based models) are becoming prominent, you need to also be able to properly evaluate quantitative methods. A lively book on the foundations of statistical analysis is The Seven Pillars of Statistical Wisdom by Stephen Stigler. An engaging and more nuanced view of the subject is Robert Abelson's Statistics As Principled Argument. What I mostly recommend is Standard Deviations, Flawed Assumptions, Tortured Data and Other Ways to Lie with Statistics by economist Gary Smith. Smith’s premise is that we yearn to make an uncertain world more certain and to predict the unpredictable. This makes us susceptible to statistical deceptions. The investment world is especially susceptible now that it is more model-based and data driven. Smith is not afraid to point out mistakes by the economic establishment. He mentions errors by University of Chicago economist Steven Levitt of Freakonomics fame. Smith also discusses research made popular by two Harvard professors, Reinhart and Rogoff. The professors concluded that a nation’s economic growth is imperiled when its ratio of government debt to GDP exceeds 90%. Smith points out serious problems with their work due to inadvertent errors, selective omissions of data, and questionable research procedures. Publish or perish can contribute to errors in academic research. Economic self- interest, as in medical and financial research, can also cause errors. Smith helps us see how important it is to look at research critically instead of blindly accepting what is presented. Data clusters are everywhere, even in random data. Someone who looks for an explanation will inevitably find one, but a theory that fits a data cluster is not persuasive evidence. The found explanation needs to make sense, and it needs to be tested with uncontaminated data. Financial market researchers often use data to help invent a theory or develop a trading method. Theory or method generated by ransacking data is a perilous undertaking. Tortured data will always confess something. Pillaged data without theory leads to bogus inferences. Data grubbing can uncover patterns that are nothing more than coincidence. Smith points to the South Seas stock bubble as an example where investors saw a pattern - buy the stock at a certain price and sell it at a higher price. But they didn’t think about whether t it made any sense. Smith’s solution is to first make sure that one’s approach makes sense. He agrees with the great mathematician Pierre-Simon LaPlace who said probabilities are nothing but common sense reduced to calculation. Smith says we should be cautious of calculating without thinking. I remember a case at the Harvard Business School where we looked at numbers trying to figure out why Smucker’s new ketchup was not doing well as a mass market item. The reason turned out to be that no one wanted to buy ketchup in a jam jar. We need to look past the numbers to see if what we are doing makes sense. I have seen some take the concept of dual momentum and make it more complicated with additional parameters. They may hold back half their data for model validation. They call this out-of-sample testing, but that is a questionable call. Do you think you would hear about these models if their “out-of-sample” tests showed poor results? Would they discard their models and move on? Chances are they would search for other parameters that gave satisfactory results on both the original and hold out data. Momentum is robust enough that a test on hold out data might look okay right from the beginning. But that is likely due to momentum’s overall strength and pervasiveness. It is questionable whether you really had something better than with a simpler approach. You may have just fit past data better, which is easy to do by adding more parameters. There are some areas I wish Smith had addressed more. First is the importance of having simple models, ala Occam’s razor. Simple models dramatically reduce the possibility of spurious results from overfitting data. Overfitting is a serious problem in financial research. With enough parameters, you can fit almost any data to get attractive past results. But these usually do not hold up going forward. In the words of Edsger Dijkstra, "Simplicity is a great virtue, but it is requires hard work to achieve it and education to appreciate it. And...complexity sells better." Smith briefly mentions the law of small numbers popularized bt Kahnemann and Tversky. But I wish Smith had gone more into the importance of abundant data and how it helps us avoid biased results. According to de Moivre’s observation, accuracy is proportional to the square root of the number of observations. To have half the standard error, you need four times the data. Smith talks a lot about the issue of data groping without theory. But he also mentions the opposite problem of theory without adequate data analysis. Smith cites as an example the limit to growth theories of Malthus, Forrester, and Meadows. Smith contends they did not make any attempt to see whether historical data supported or refuted their theories. Most economists now dismiss these theories. But Smith may not have considered later information on this topic. Here and here is information that makes this subject more provocative. Smith says it is good to think critically. This is true even when approaching a book as thoughtful as Smith’s. Even if a model makes sense initially, you need to make sure it continues to do so. Investment approaches can become over utilized and ineffective when they attract too much capital. See here and here. According to S&P DJ Indices, 92% of all actively managed stock funds failed to beat their benchmarks over the past 15 years. This should come as no surprise. Similar results were published more than 20 years ago. This information has caused a move away from active stock selection and toward index funds or systematic approaches. 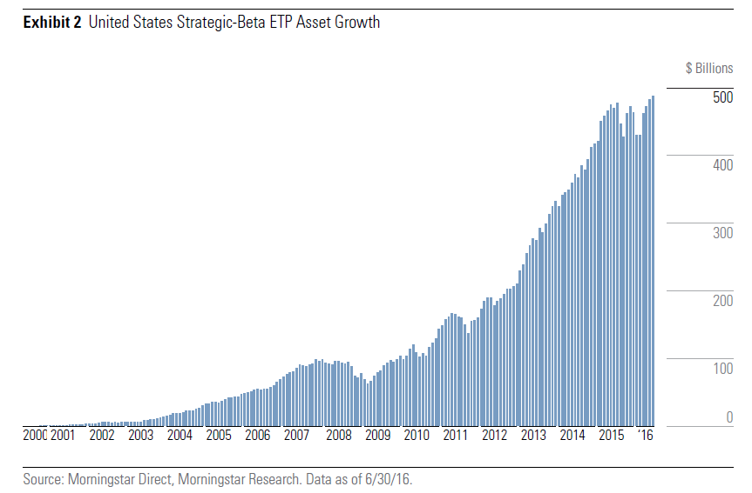 Money managers have recently moved more in the direction of factor-based and so-called smart beta investing. But as I pointed out in my February blog post, “Factor Zoo or Unicorn Ranch?”, there are some potential issues with this type of investing. Not the least of which is the shortfall between actual and theoretical returns. Theoretical results are in academic papers and all over the internet. Much less information is available on the real-time performance of factor-based investments. The Loughran and Hough study in 2006 was a rare look at real-time factor performance. In it, the authors showed that there was no significant difference in performance between U.S. value and growth mutual funds from 1965 through 2001. The authors concluded by saying the idea that value generates superior long-run performance is an “illusion”. This was the only study I could find that examined actual results of popular investment factors. But now there are two other studies. Blitz (2017) in "Are Exchange Traded Funds Harvesting Factor Premiums? 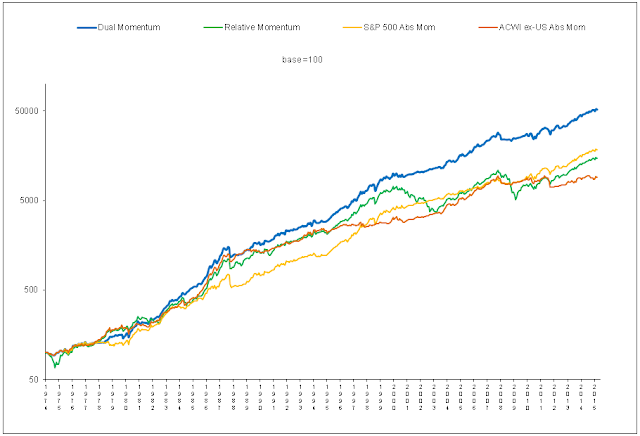 examined the performance of 415 ETFs with at least 36 months of return history as of December 2105. He looked at factor harvesting over the prior 60 months if that much data existed. He concluded that on aggregate, all facotr exposures turn out to be close to zero. There is no aggreagate alpha there. To determine their results, AKW did a two stage (Fama-MacBeth) regression. In stage 1, they regress mutual fund excess returns against standard factor models to determine each fund’s estimated factor loadings. In stage 2, they regress the excess returns of all against the factor loadings to get the factor premium earned by each fund. These are then compared to the theoretical factor returns. This approach incorporates factor covariances to determine factor premia. Comparing actual to theoretical performance can reveal data mining, selection, and survivorship biases. It can also identify the effects of management fees, bid-ask spreads, and transaction costs. In many academic papers, more than half the profits come from shorting stocks. 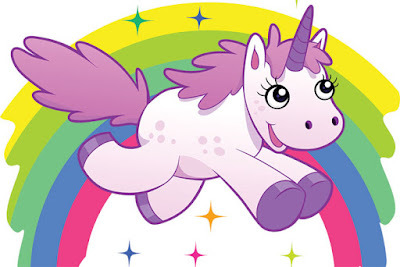 But shorting may be expensive and sometimes impossible to do. Looking at long-only mutual fund performance removes those unrealistic profits. We see a 50% shortfall in the performance of the market factor. This is not surprising. For many years, other research has shown this effect. High beta tends to underperform low beta on a risk-adjusted basis going forward in time. In the AKW regression, the size factor shows a small but insignificant improvement in actual versus theoretical returns. Value is the most commonly used factor. AKW’s regression shows that value fund managers captured only 60% of the value premium since 1991. This compliments the recent findings of Kok, Ribando & Sloan (2017). They claim that outside the initial evaluation period of 1963 to 1981, the evidence of a value premium is weak to non-existent. The largest shortfall AKW discovered is with momentum. The realized momentum return of live portfolios was close to zero, compared to a theoretical return of around 6% per year. Stock momentum alpha has not been positive since 2002, according to AKW. This is consistent with research by Battacharya, Li & Sonaer (2016) who find that momentum profits from U.S. stocks have been insignificant since 1999. AKW concludes their study by asking if 10,000 quants all pursue the same factor tilts, how likely is it that these factors will add value? Skepticism toward new information is a good thing. More research and analysis can help advance what we know about the world. Corey Hoffstein offers a critical response to the AKW study in an article he calls “A Simulation Based Rebuttal to Research Affiliates.” Corey points out we should not overlook style drift as a significant source of error. Return estimates can be inaccurate if managers switch investing styles. Most mutual funds have investment philosophies that stay consistent over time. Growth funds do not usually become value funds, for example. But it can occasionally happen. In support of style drift, Corey shows 3-year rolling betas versus full period betas for the Vanguard Wellington Fund (VWELX). His data is from January 1994 through July 2016. Corey’s logic is similar to saying one should be suspicious of the 10% average return of the S&P 500 index over the past 50 years because yearly returns have varied from -37% to 38%. Research of pension consultants shows that 3-year performance by equity managers is often mean reverting. This may explain some of the difference between full period and 3-year rolling window returns. With 3-year rolling returns, some, and perhaps a lot, of the variation in returns may be random noise. In addition to the full data set, AKW looks at an expanding window of returns that incorporates all the data available up to that point. An expanding window regression converges to the full sample factor betas toward the end of the sample period. When AKW compares expanding window regressions to full period ones, they get comparable results. Corey’s second argument is that you can attribute a portion of the AKW identified shortfall to estimation error. Factor loading estimates are noisy. Estimation error in the independent variables creates a pull toward zero in the beta coefficients. This causes a downward biasing of factor premia estimates in the second stage of AKW’s regression. This is a valid point. But Corey offers no direct evidence of how much estimation bias there is in the AKW regression. Instead, Corey conducts a 1000 hypothetical fund simulation using normally distributed betas. There are good reasons why simulations are seldom used in financial markets research. Simulations may give a false sense of precision. They are dependent on distributional assumptions that are often unrealistic when applied to financial markets. Market returns are not normally distributed with constant volatility. Underlying distributions may be non-stationary and lack independence. In his simulation, Corey assumes that mutual fund returns are normally distributed with constant volatility. Academic researchers prefer to use as much real data as they can rather than simulated data. The AKW regression uses 25 years of actual mutual fund data, which should reduce the influence of tracking error on AKW's results. Corey uses only one fund, VWEIX, with his simulation to estimate how much downward bias there might be in the AKW regression. He looks at the difference in standard deviation between full period and 3-year rolling estimates of VWELX’s beta coefficients. Corey is unable to show that estimation errors have the same distribution scale as the betas themselves. Corey concludes there may be significant downward bias in the AKW regression estimates. But Corey does not explain the different degrees of slippage for different factors. Even if you accept Corey's simulation, results from 1994 through 2016 of only one fund may be on outlier. Other funds may conform to AKW's results. In the end, Corey says, "our results do not fully refute AKW’s evidence." AKW does acknowledge downward bias in betas due to estimation error in the independent variables. They conduct six different robustness tests that reinforce their results and help mitigate that error. These robustness test results are consistent with their core findings. Studies here and here also confirm the disappearance of momentum profits since the 1990s. I applaud Corey’s skepticism with regard to unexpected research findings. I also applaud him when he says, “…published research in finance is often like a back test. Rarely do you see any that does not support the firm’s products or existing views.” We should also keep that in mind regarding critical assessments of new information. As the old saying goes, "Never ask a barber if you need a haircut."